The goal of Spider is to arrange all cards into complete suits in descending order from King to Ace. Every complete suit of 13 cards is discarded automatically as soon as it is created. The board consists of 10 stacks and a stock. Moves to a stack must be made in descending order regardless of suit. Any card can be moved to an empty slot. 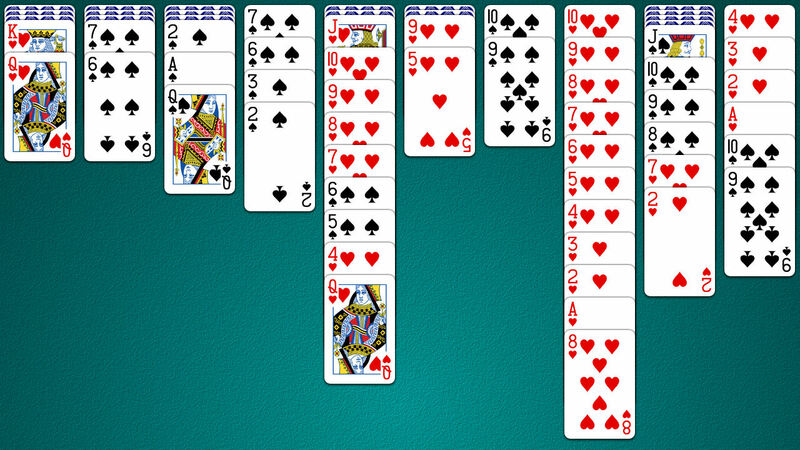 A sequence of properly ordered cards of the same suit can be moved together as one. Only the cards at the top of a stack can be moved. When a face down card becomes exposed, it is flipped over and becomes available. Cards from the stock, located at the bottom right corner of the board, can be dealt at any time, unless there are empty slots.